Against the backdrop of California’s Gold Rush, a pair of brother assassins Eli (John C Reilly) and Charlie Sisters (Joaquin Phoenix), chase down their next lucrative target, budding prospector Hermann Warm (Riz Ahmed). The task diverts from a business-as-usual hit when their lead man, John Morris (Jake Gyllenhaal), responsible for keeping an eye on Warm strikes up a friendship with the target, leading the assassin brothers on a chase along the West Coast to San Francisco. The Sisters Brothers (see what they did there?) is the latest film from renowned French director Jacques Audiard (Rust and Bone) based off the novel of the same name by Patrick deWitt. Audiard’s first English language film, The Sisters Brothers is less of an ode to a classic Western than a tip of the hat to the genre. Although the outfits, dust, whiskey, brothels and bloodshed tell us we are in a Western, at its core this movie is about the relationships that define us and those that we let define us. Reilly and Phoenix shine as the Sisters Brothers and the easy practicality that family can provide. The shared history that need only to be referred to in a few words, the easy teasing humour and the subtle power shifts (who is managing who here?) are perfectly portrayed. A captivating scene at a fancy restaurant shows how with family, conflict can both rise and de-escalate at equally alarming speeds. In comparison, the relationship between Warm (Riz Ahmed) and Morris (Jake Gyllenhaal) leaves something to be desired. After an initial chemistry-fuelled meet-cute of the two, it’s not quite as tangible what has brought them close. In contrast, the brothers and Kermin and Morris, show that although different in style, both relationships have shaped the motivations of the characters. The film takes its time to find a consistent tone and the initial humorous moments don’t sit easy. With that being said, when the humour lands it lands well, and the final hour of the film is expertly crafted shifting between comedy and drama effortlessly. Phoenix as always is a standout, but its Reilly who really shows his range. No stranger to outlandish comedy (Step Brothers, Talladega Nights), Reilly is equally as talented in the scaled back humour and muted drama of The Sisters Brothers. 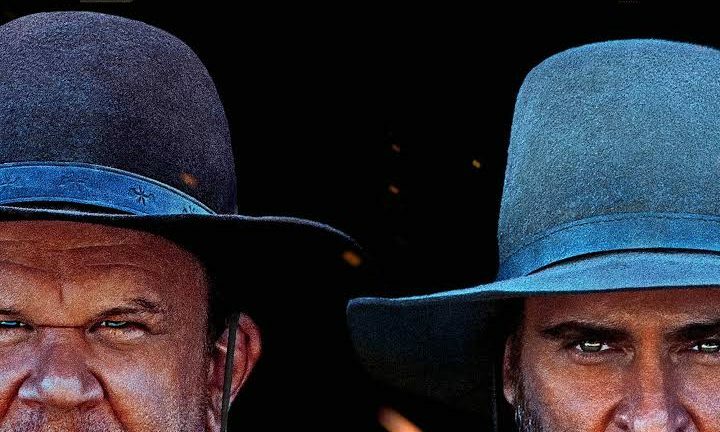 Darkly funny and occasionally heartfelt, The Sisters Brothers premieres in Australia in March for the 30th Alliance Françoise French Film Festival.